The best new travel companion for your luggage has arrived! Why hasn’t someone solved the problem of packing dirty clothes for the trip home? Finally, we have an answer for isolating odors and/or wet clothing. The trip home will no longer require shoving dirty clothes into a ripped plastic bag or mixing your soiled underwear and socks with your folded dress shirt, blouse or slacks. 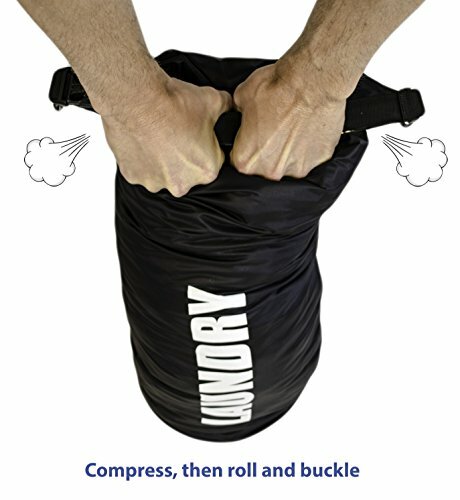 Pack your Eastside Essentials travel laundry bag in your suitcase folded. It takes up virtually no extra space at all when empty. 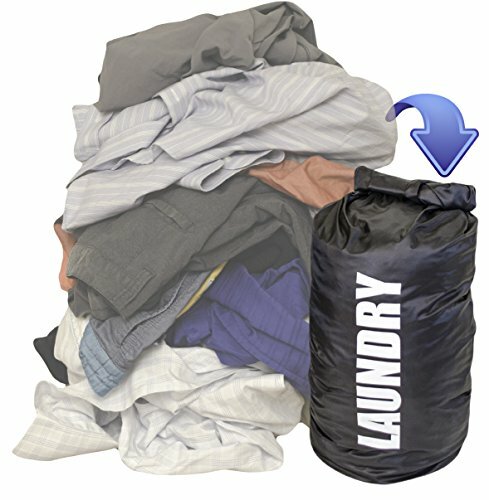 When you arrive at your destination, simply stuff your dirty or soiled laundry into the bag throughout your trip. This actually helps keep your clothing organized too. 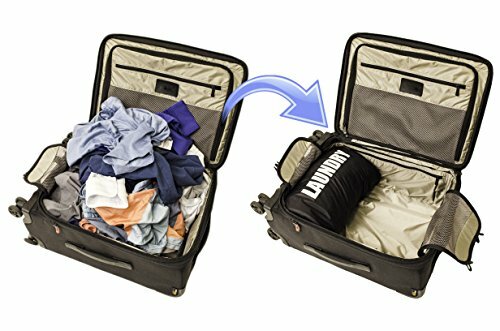 When packing your clothes to return home, compress the clothing in the bag to release extra air, then close and fold the opening (minimum 3 times to lock out the air and keep clothing compressed). Click the buckles together ensuring that your dirty laundry stays compressed, your bag stays closed, and you maximize available space in your suitcase for the trip home. 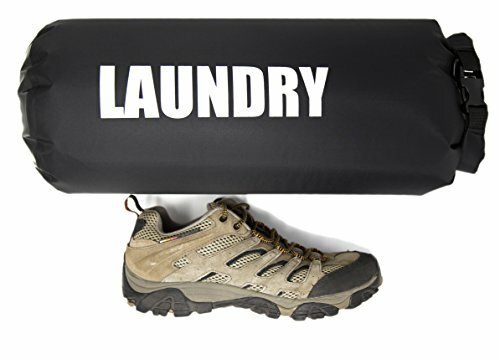 Once you use this travel laundry organizer, you will wonder how you ever traveled without it! 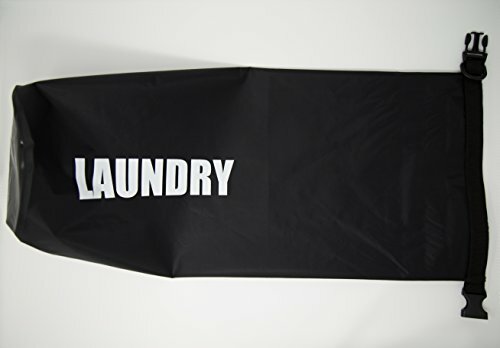 One unmistakably simple space-saving nylon bag, labeled “LAUNDRY”. We recommend that a child be 12 years of age or older to use this product. We offer a 90 day warranty on the product. If for some reason the bag breaks under normal use, we will replace it within 90 days. 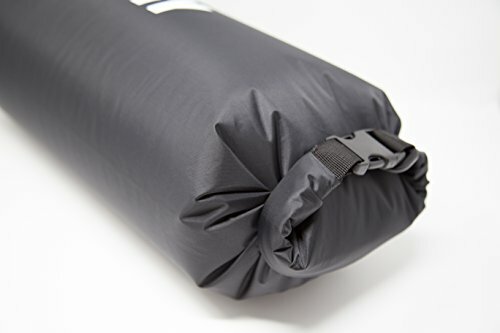 Constructed of lightweight, waterproof ripstop nylon with a thermo plastic coating. Soft, air-holding fabric that is stain resistant and fluid proof. Separate dirty, stinky, wet, or heavily soiled clothing from clean clothes while traveling. The most important return-trip packing accessory. We offer a 90 day warranty on the product. 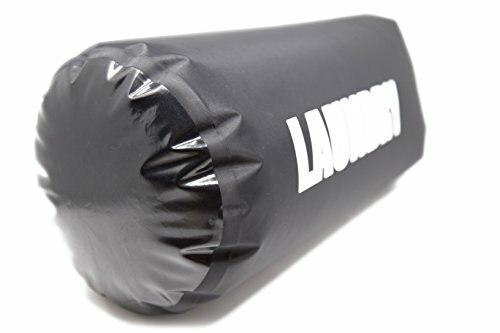 If for any reason the laundry bag breaks under normal use, we will replace it within 90 days. omaomk © 2019. All Rights Reserved.